The NFL is defined by the old saying: "What have you done for me lately?" A team that starts the season hot, can cool off as the weather cools off and a team that looked dead early on can resuscitate it's way back into the playoff hunt. Just think about where teams like the Cincinnati Bengals and Carolina Panthers were a couple months ago, or the 0-3 Houston Texans and 3-5 Dallas Cowboys. The only way to get a handle on where the NFL currently stands is to look at what's happened recently. And to do that, let's see which offenses and defenses have been the best over the past four weeks (Week 10-13). It's no surprise at all that the top three offenses, in points per game, are the Los Angeles Rams, Kansas City Chiefs and New Orleans Saints. Those three have been the best offensive units all season, but the Seattle Seahawks were certainly not a Top 5 offense early in the year. The Seahawks have scored 32.8 points per game over the past month and have solidified their spot as an NFC Wild Card team. The Los Angeles Chargers round out the Top 5 after a huge comeback win against the Pittsburgh Steelers on Sunday Night Football and a 45-10 beatdown of the Cardinals the week prior. The bottom five in points scored since Week 10 isn't too shocking, except for the Atlanta Falcons, at just a measly 17 points per game. Earlier in the year, the Falcons looked like one of the best offenses in the NFL and Matt Ryan was a fringe MVP candidate. 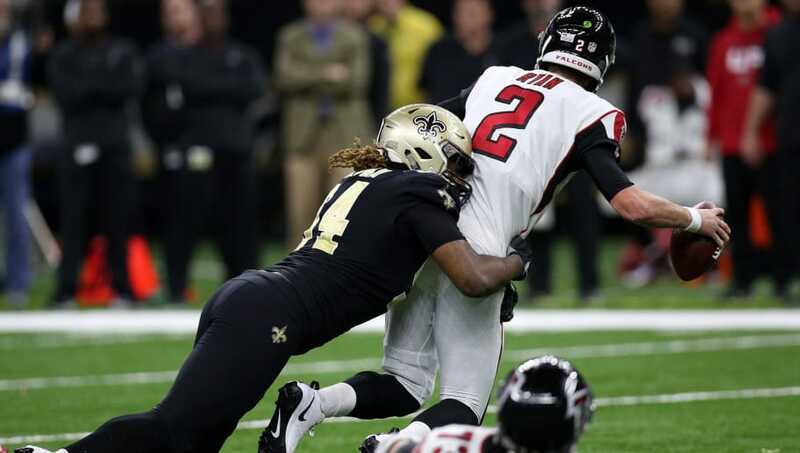 Now, Atlanta is 4-8 and have been shut down by the Baltimore Ravens, Cleveland Browns, Dallas Cowboys and the Saints over the last four weeks. The worst defenses in the league in points per game over the past four weeks include two of the top offenses -- the Chiefs and the Rams. With KC and the Rams having an epic shootout against one another in Week 11, their numbers are understandably skewed. Cincinnati was so bad in the past few weeks that they went as far as to fire their defensive coordinator. "The Rams and Chiefs outside arguing about who the best team in the NFL"
But the best defense in the NFL over the past four weeks is a real surprise. The New Orleans Saints have given up an average of 12.8 points per game, nearly four points better than any other team. The Saints and the Chargers are in the Top 5 on both offense and defense over the past four weeks, showing just how dominant these two have been over the last quarter of the season. ​With the top teams in the league lighting up the scoreboard, it's going to be a thrilling final four weeks of NFL games.